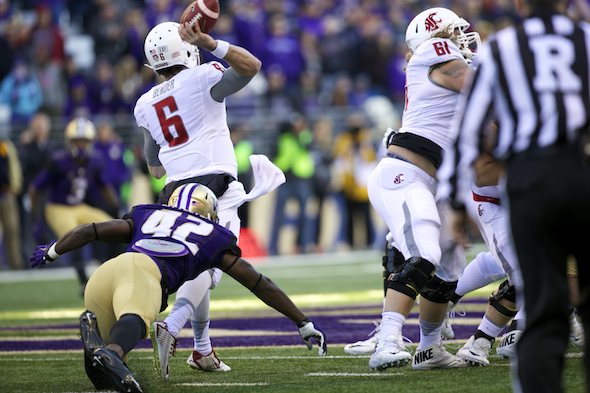 Three times have the Cougars and Huskies met in the Apple Cup when stakes were high. No. 4 Friday is the first time since 2006 when Wazzu was favored. Every so often, multiple overtimes, a heavy coating of snow, a Hail Mary pass or even mutual ineptitude — who can forget the 2008 “Crapple Cup” featuring 1-10 and 0-10 teams — adds to the mischief, mayhem and folklore. Then there are the rare match-ups like this one, the 111th meeting between these fine institutions, where Friday’s game in Pullman (5:30 p.m.. ESPN) offers ultimate reward mixed in with tradition and school spirit. Seventh-ranked Washington State (10-1, 7-1) and No. 16 Washington (8-3, 7-2) go at it with much at stake for each side — a conference championship berth, a possible Rose Bowl trip, insufferable bragging rights — in compelling national theater, a scenario that has happened only three previous occasions. This Friday is Apple Pie a la Mode, Part Four, with the Cougars the betting favorite (2.5 points) for the first time since 2006. An irresistible topping sweetening the main dish. Friday’s showdown joins Apple Cups in 1981, 1997 and 2016 as big-stakes encounters, where each school has everything to win and much to lose, where the atmosphere turns extra tense and electric. Here’s a replay of these titanic games. No Apple Cup will supplant this game for emotional load. Fans of both sides descended upon Husky Stadium hurling verbal taunts. The mood was confrontational. The 14th-ranked Cougars were 8-1-1, seeking their first Rose Bowl — make that any bowl — in 51 seasons; No. 17 UW was 8-2, trying to return to Pasadena for a second consecutive year to add to its West Coast powerhouse status. The onus was on coach Jim Walden’s team to make a huge breakthrough. ahead for good at 10-7. The ball was under-thrown but the resourceful Skansi turned back and dove over defensive back Nate Bradley to make the catch. The Cougars never recovered. 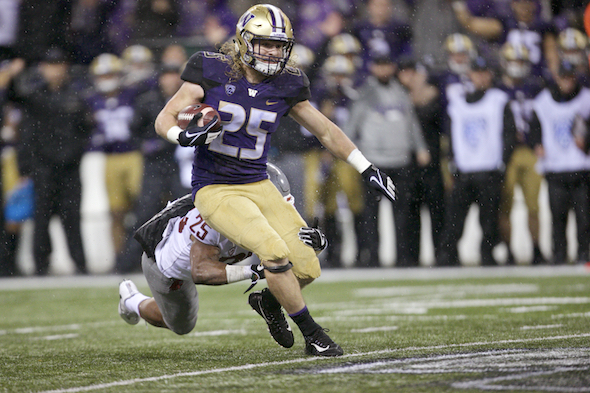 The UW was Rose Bowl-bound; WSU settled for the Holiday Bowl. “This is the biggest disappointment of my coaching career, but I’m even more disappointed for my players,” Walden said somberly. It took 16 years before the Cougars got another shot at the Rose Bowl. They didn’t squander this one. record crowd of 74,268 sitting in wet conditions, WSU spotted its hosts an opening touchdown before rattling off 24 unanswered points. 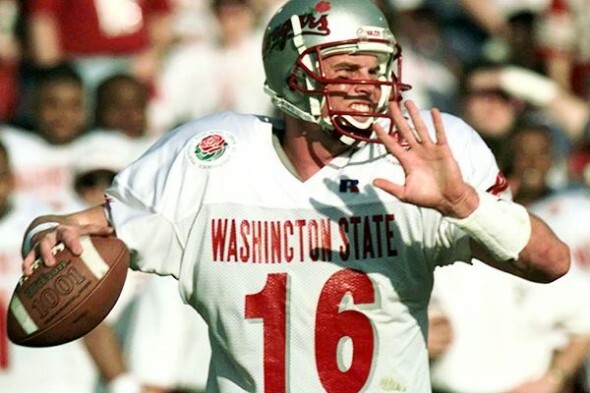 Ryan Leaf threw for 358 yards and a couple of scores. Freshman S Lamont Thompson intercepted the Huskies three times to lead the defense. When the game ended, Leaf spiked the football and WSU fans spilled onto the field, with red-painted students climbing the goal posts. Many UW followers stood and applauded the Cougars for getting it done — ending a Rose Bowl drought that had lasted 67 years and earning a shot to play Michigan. The Huskies settled for a trip to Hawaii and the Aloha Bowl. 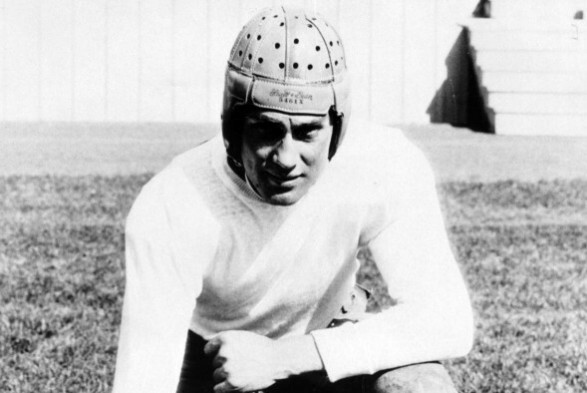 player who headlined the school’s 1931 Pasadena team. It was winner-take-all before a sellout crowd of 33,000-plus in Pullman, with the sixth-ranked and 10-1 Huskies and No. 23 and 8-3 Cougars each playing for the right to advance to the Pac-12 championship game for the first time. Luke Falk three times and putting up two goal-line stands. There was more hype to come, though it wasn’t nearly as fun as this Apple Cup lead-in. The Huskies went on to beat Colorado for the league title and lose to Alabama in the CFP semifinals; the Cougars ended up in the Holiday Bowl. Here we go again. Another nationally significant Apple Cup in Pullman. A showdown with a league championship berth on the line for each team. Even more amazing, a role reversal, adding to the build-up. When the season began, highly regarded Washington was ranked sixth in the Associated Press poll, considered a one- or two-loss team and projected as a serious playoff candidate. As it winds down, the unsung Cougars are seventh in this week’s College Football Playoff rankings, once-beaten and hoping to sneak into the final four. The game could be a point-fest. WSU comes off 605 yards of total offense against Arizona generated in a 69-28 victory; the Huskies rolled up 503 yards in a 42-23 win over Oregon State. considered a legitimate Heisman Trophy candidate. Huskies RB Myles Gaskin enters the contest with 4,961 career rushing yards, fifth in league history with a good chance to move up two more slots. Scott Pelluer, former WSU linebacker and UW assistant coach. The younger Pelluer is a sixth-year player after receiving injury waivers. He’s seeking his first rivalry game victory over the Huskies after going 0-5; his dad was 0-4 against them (3-2 against WSU as an assistant). No one comes into this contest feeling lackadaisical or uninterested. Always great to get to read Dan Raley. Hope to see more of you here, Dan.